A Bloom in TV's Asian-American Desert: The New York Times talks to Wall Street Journal columnist Jeff Yang and his son Hudson, who plays young Eddie Huang in ABC's Fresh Off The Boat. Everything That's Happened Around Adnan Syed's Case Since 'Serial' Premiered: A Timeline: Vulture put together a handy timeline detailing the events surrounding the Adnan Syed case since the Serial podcast began, and will keep updating it as new things happen. Stop Being Indian-American!?! : Recently, Louisiana Governor Bobby Jindal, who is Indian American whether he wants to be or not, said that he doesn't believe in "hyphenated Americans." Parthiv Parekh responds. Friendship and Race and Knowing Your Place: Nicole Soojung Callahan reflects on growing up in white spaces as a transracial adoptee: "I wonder to what extent my assimilated adoptee accessibility functions at the expense of other people of color; I wonder how many of my relationships provide safe ground from which people can claim not to be racist." 'Asian Food,' An Illustrated 'Domics' Cartoon About Bringing 'Exotic Food' to School: In this recent episode of "Domics," Toronto-based illustrator Dominic shares his childhood memories of the "exotic" food that he brought to school as a kid and how his classmates responded. An Official Complaint Against Oriental Ramen: What flavor is 'Oriental' ramen, anyway? (Does it taste like a rug?) Lucas Peterson calls for a new flavor name for this pantry staple. A Filipino Food Movement is Rising in Seattle: Filipino flavors are gaining traction in Seattle, including some dishes served up by Geo (aka Prometheus Brown) of Blue Scholars fame. Man Who Grew Up In Struggling Immigrant Household Leaves Wall Street Job To Help Homeless: Robert Lee quit his job at a hedge fund to launch Rescuing Leftover Cuisine, a nonprofit that targets the prevention of food waste and putting an end to hunger. 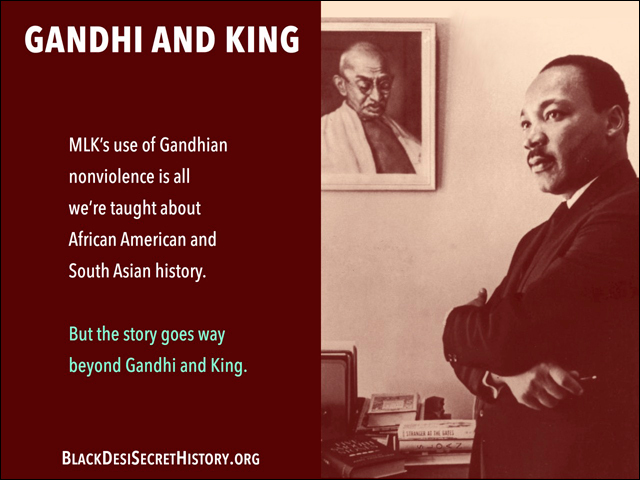 The Secret History of South Asian and African American Solidarity: South Asians and African Americans have been standing up for each other for over a century. These are the secret histories we were never taught. Internment: A Passion Project: An interview with screenwriter Phinneas Kiyomura, whose TV pilot script Internment dramatizes the day-to-day challenges of life behind barbed wire for Japanese Americans incarcerated in camps during World War II. Feministing Reads: Ai-jen Poo's The Age of Dignity: Ai-jen Poo is the director of the National Domestic Workers' Alliance and co-director of Caring Across Generations. Her latest book, The Age of Dignity, amplifies the efforts to the domestic workers' movement and focuses on the plight of aging Americans. Chinese-Americans in California Face Barriers to Cancer Screenings: Chinese American immigrants in California with limited health literacy and English proficiency are less likely to receive cancer screenings, according to a recent study. Mindy Kaling Wants to Know: When Will Minorities Stop Being Invisible? 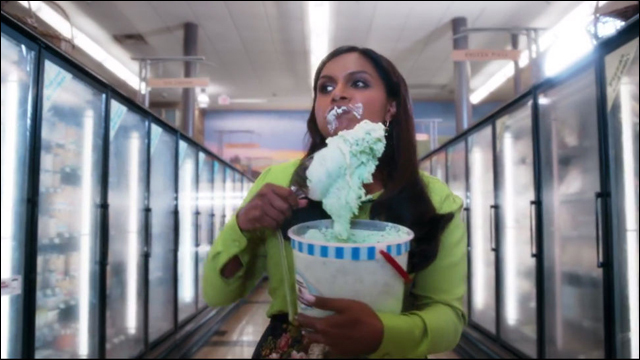 Mindy Kaling, creator and star of The Mindy Project appeared in a Super Bowl commercial that made a statement about getting noticed. My GRAVITY lawsuit and how it affects every writer who sells to Hollywood: In 1999, writer Tess Gerritsen sold the film rights to her book Gravity to New Line Productions. In never made it out of development. Years later, Warner Brothers -- New Line's parent company -- released the critically-acclaimed film Gravity, which bore striking similarities to Gerritsen's story. Will this cheerleader be the smartest person at the Super Bowl? Kelly Bennion, a cheerleader for the New England Patriots, is also a PhD candidate in neuroscience. She is a member of the Science Cheerleaders, a group based in Philadelphia that encourages girls to pursue science careers. It's time for the Lakers to turn to Jeremy Lin: Now that a knee injury will likely end Kobe's run this season, Adi Joseph contends that it's time for the Lakers to turn to Jeremy Lin.